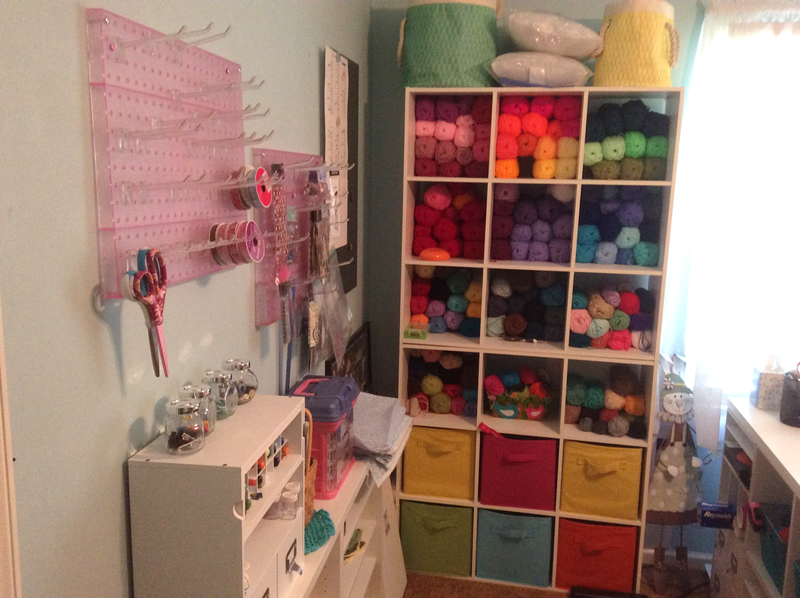 My craft room is all put together and I LOVE it! 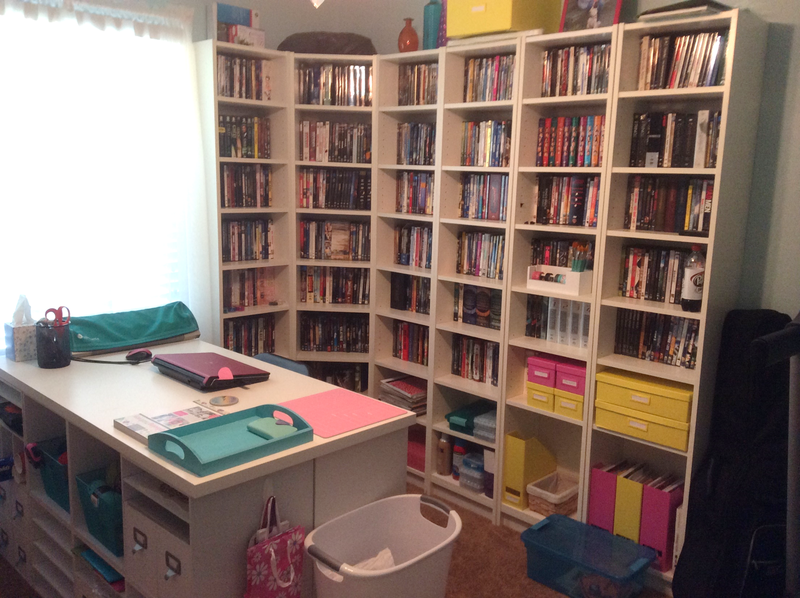 It’s so bright, but cozy, and everything is all in one place now. 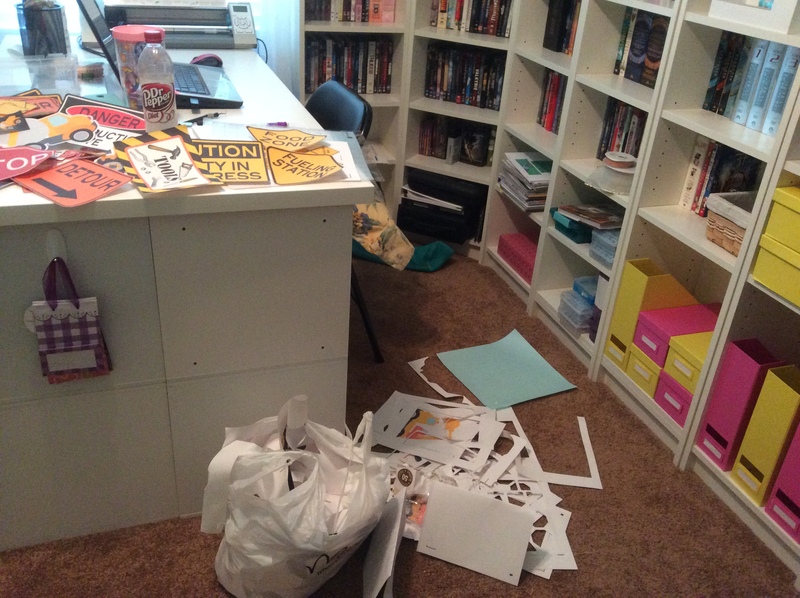 I moved the yarn from the bedroom, the scrapbook supplies from my hope chest, and works in progress from the office. 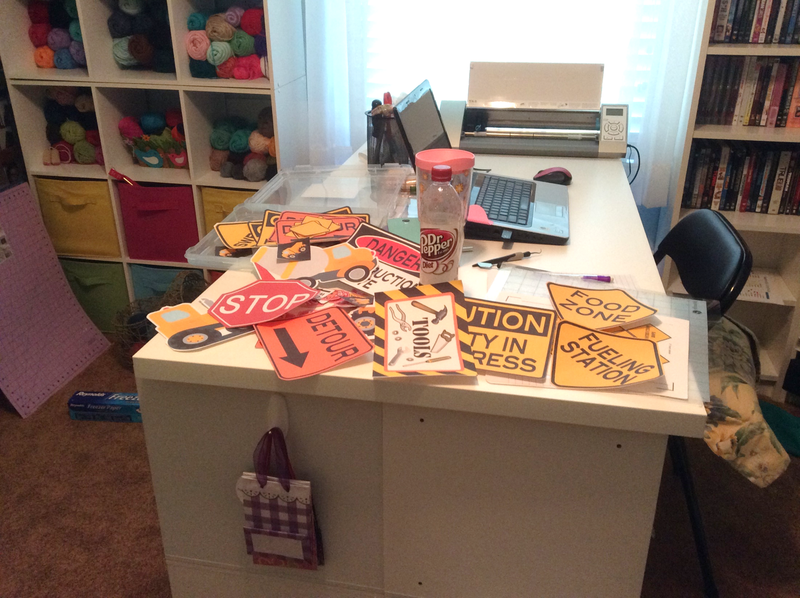 I’ve got a nice table now where I can spread out and work crafty magic. All of our DVD’s are still in there and the treadmill is on the opposite wall. I made decorations for Jason and Amanda’s baby shower using my Silhouette Cameo. 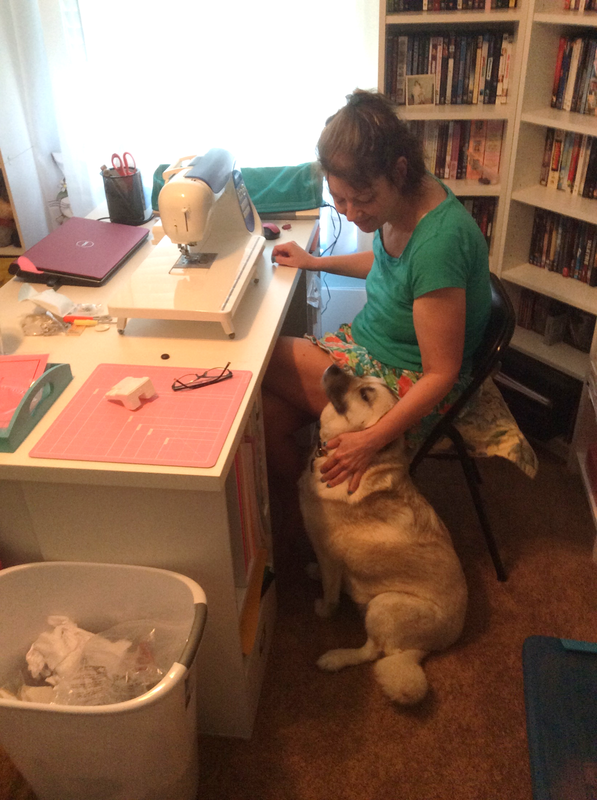 I even got my sewing machine out and Daisy wanted to learn. 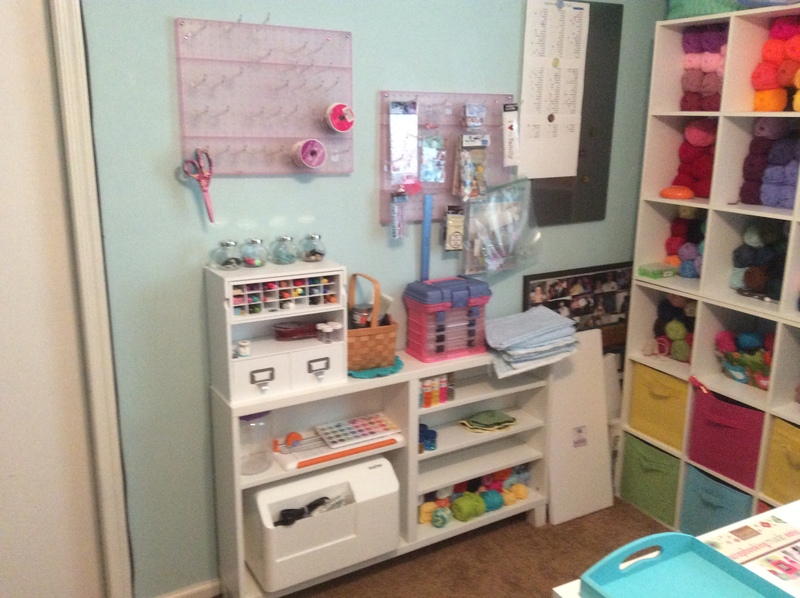 The Craft Room looks really cozy and at first glance it looks like a classroom geared for instruction. Keep up the good work.